I had been seeing this massive church all winter. And what a long, cold winter it had been! 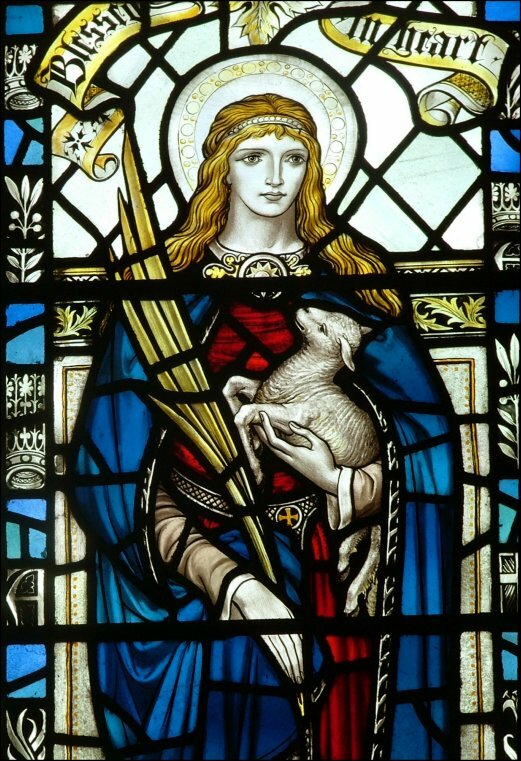 I had spent some staggeringly cold days over the last few months, often with Peter Stephens, exploring the churches in what I had come to think of as the heart of the county. 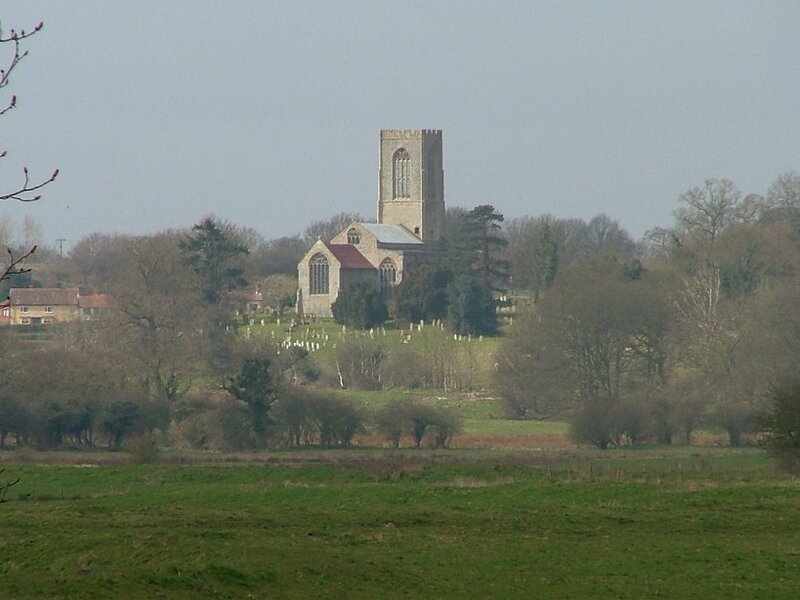 And everywhere I went in central Norfolk, the bulk of that tower seemed to be on the horizon. In this gently rolling countryside it would appear, lifting its vast bell windows above the mists and winter crispness. They must be the biggest in East Anglia, visible as dark smudges on the steely flinted sides from miles away. 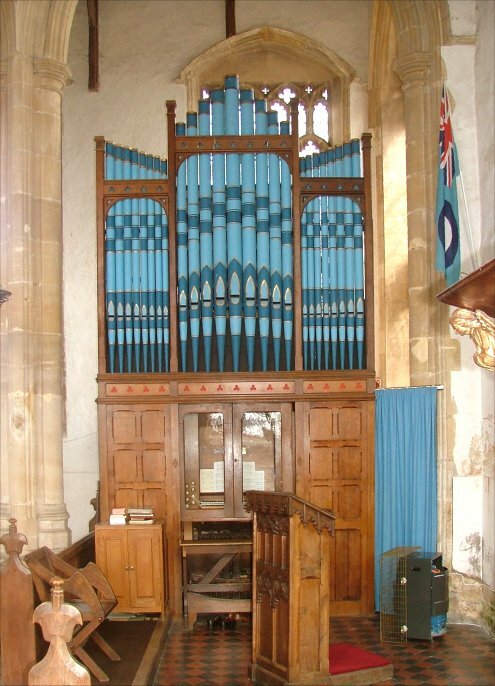 And then, in early Spring, the sky full of blue and the air resonant with bird song, Tom Muckley had come up from Hampshire, and we went to Swanton Morley. 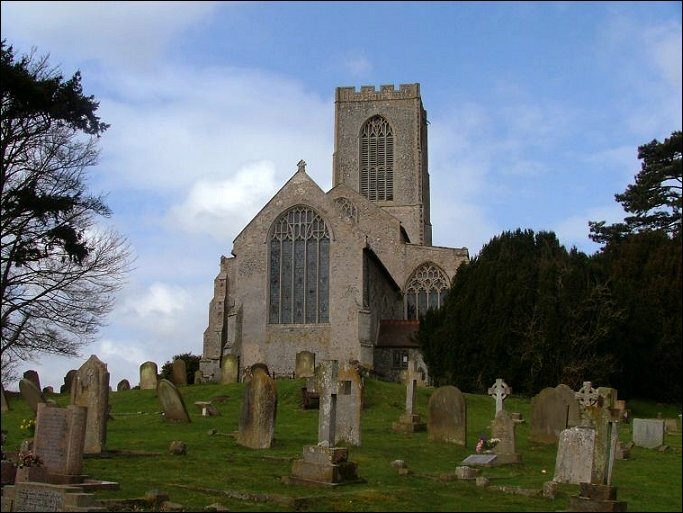 Tom has special reason for being fond of this church, because the graveyard is the final resting place of many of his family. And what a place to see out all eternity - for from the bluff to the east of the church there is a dramatic view out across the Wensum valley, a rolling patchwork of hills and meadows that might as well be in Yorkshire as Norfolk - if anything, it reminded me of somewhere even more exotic, central Europe perhaps, as if we might be in Bohemia or Moravia. 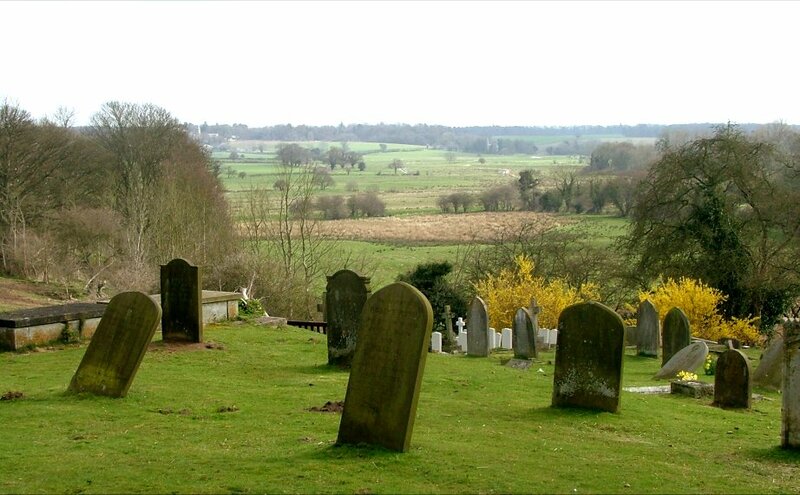 I would be quite happy to spend my time waiting for the Day of Judgement lying on this hillside. I was reminded, absurdly, of James Joyce. When he died during the Second World War in exile in Zurich, Nora had him buried in that part of the cemetery that overlooks Zurich Zoo, because, she said, he was always awfully fond of the lions. 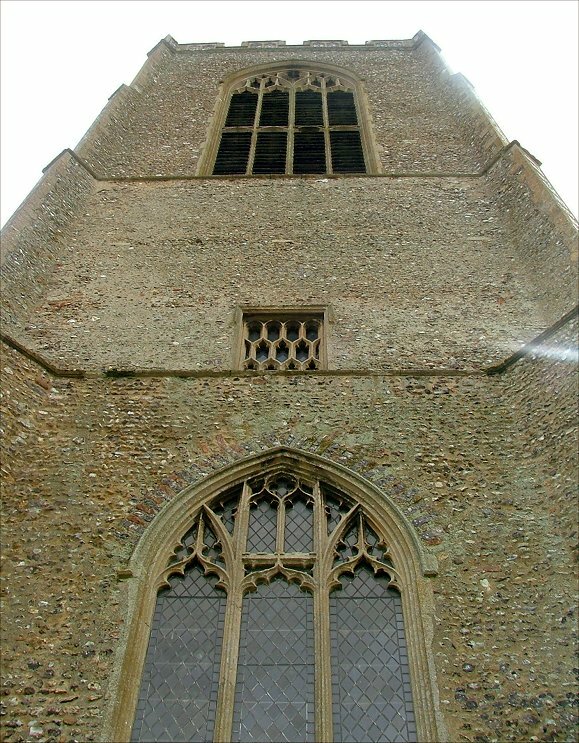 Looking back westward, the view of All Saints is equally breathtaking, the vast east window echoing the bell windows above. I did wonder what it must be like to be the person responsible for the upkeep of a place like this. 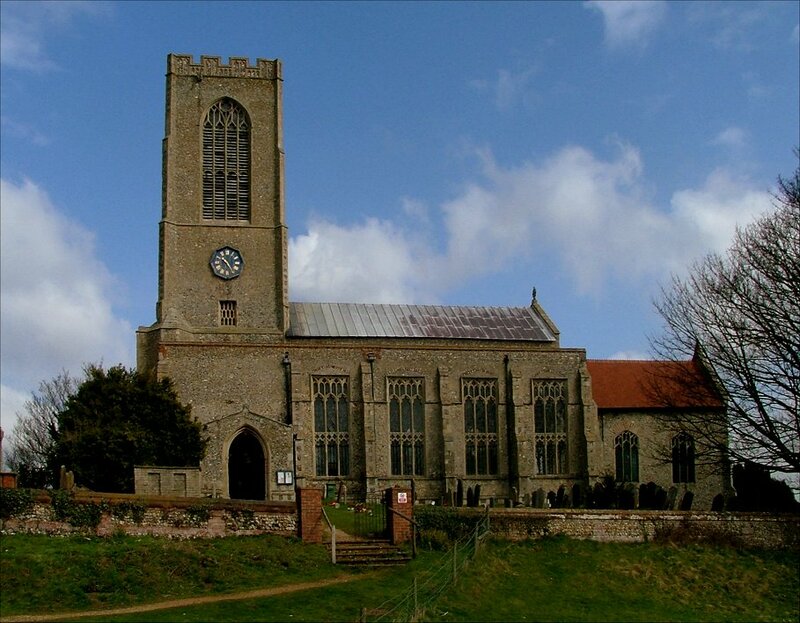 In many English counties, Swanton Morley would be the biggest church, and the most architecturally significant. 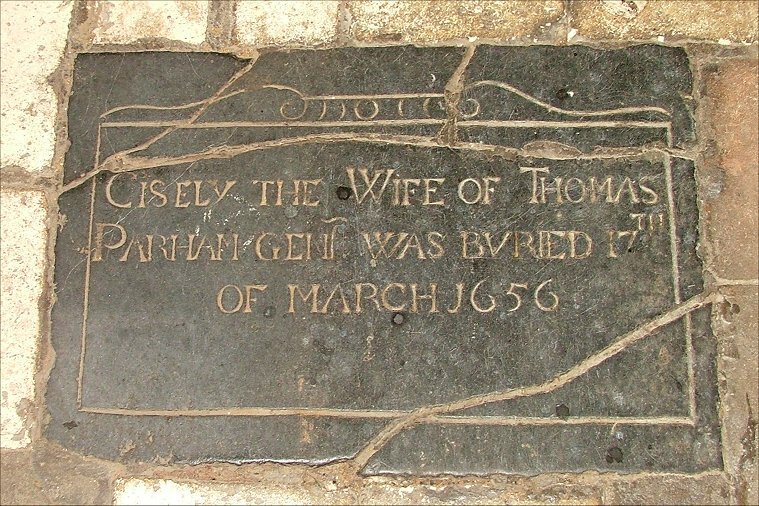 And yet, it is little known outside of Norfolk, I think. 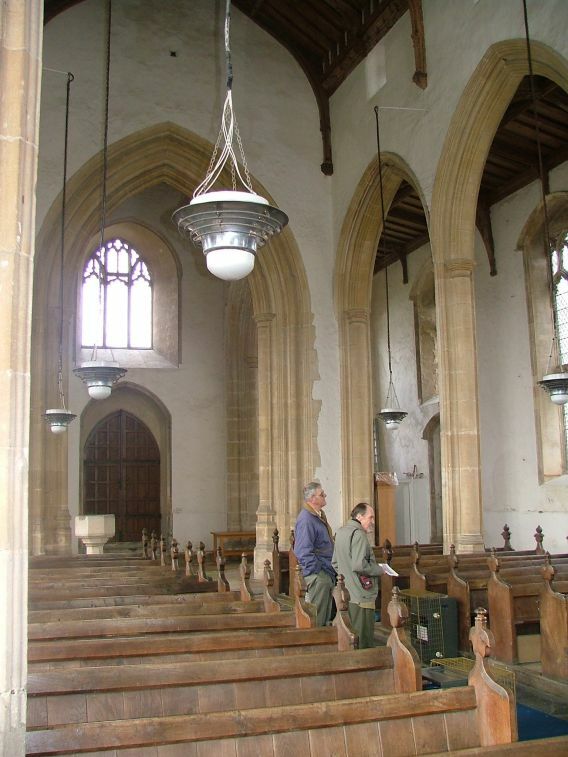 Tom had arranged for the churchwarden to let us in. 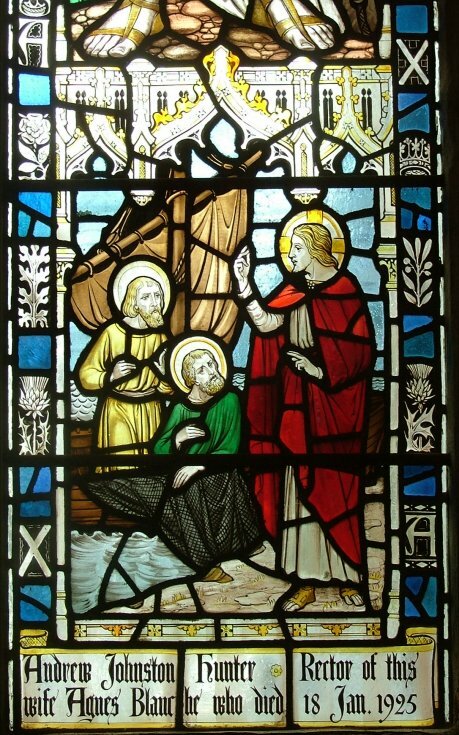 Unaccountably, in this area of open churches, All Saints is kept locked, and I think there can be no real good reason for this. Still he was a kind man, who was pleased to show us around and was obviously proud of his church. 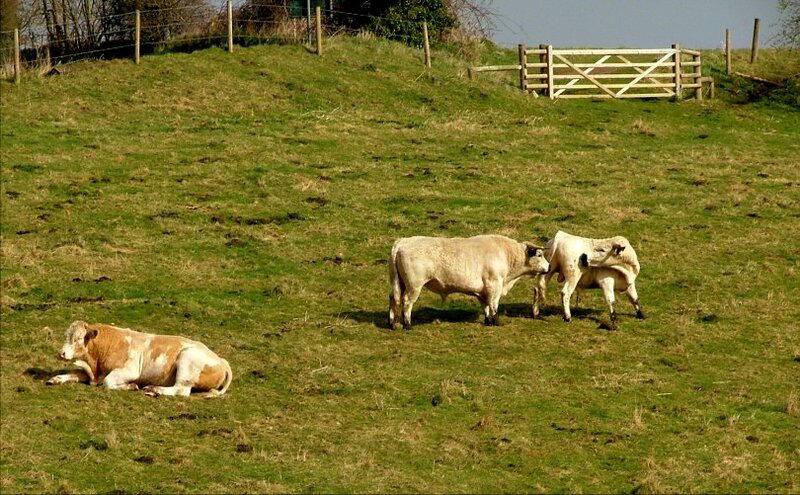 I tried to detect a sense of the burden that caring for it must be, but he seemed very relaxed about it. We arrived early, and spent a while wandering outside. 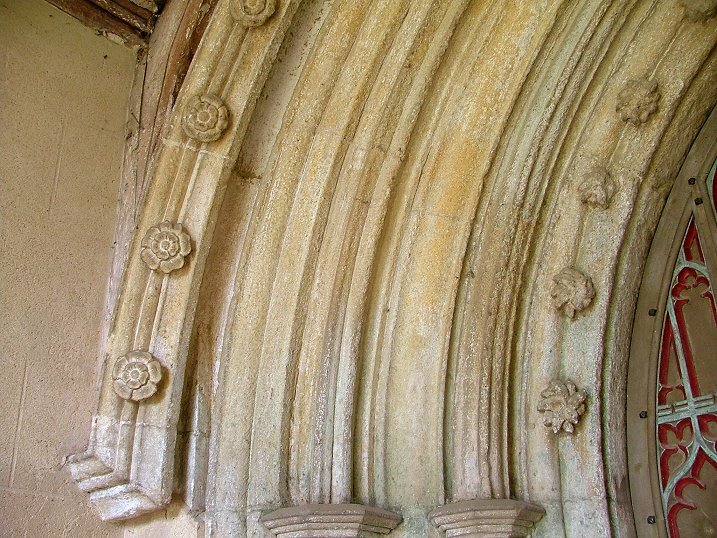 As Pevsner notes, the building is not only proud but of outstanding historical interest, since bequests can date it to the very earliest flowering of the East Anglian Perpendicular style in the 1370s. 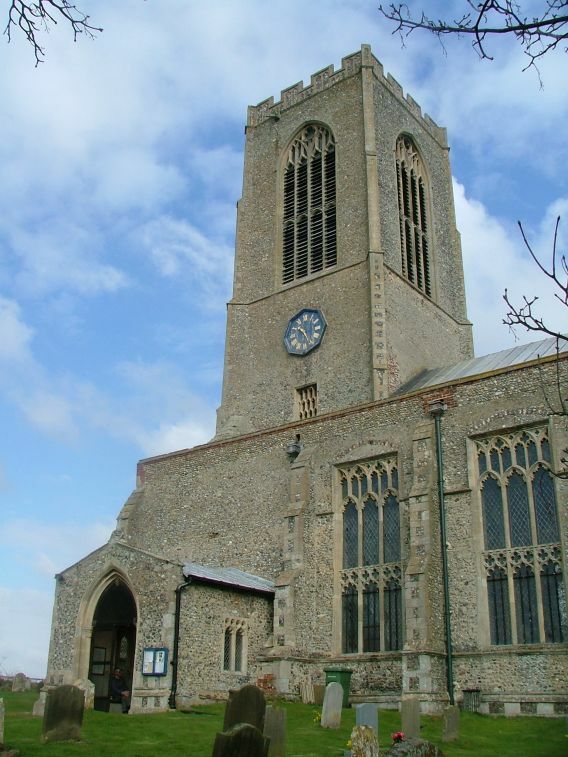 How amazing this building must have seemed before the other great Norfolk and Suffolk churches arose to complement it! I wondered for how long people must have thought of it as among the first, for this Perpendicular building would have been old already when nearby Salle and Cawston were new. 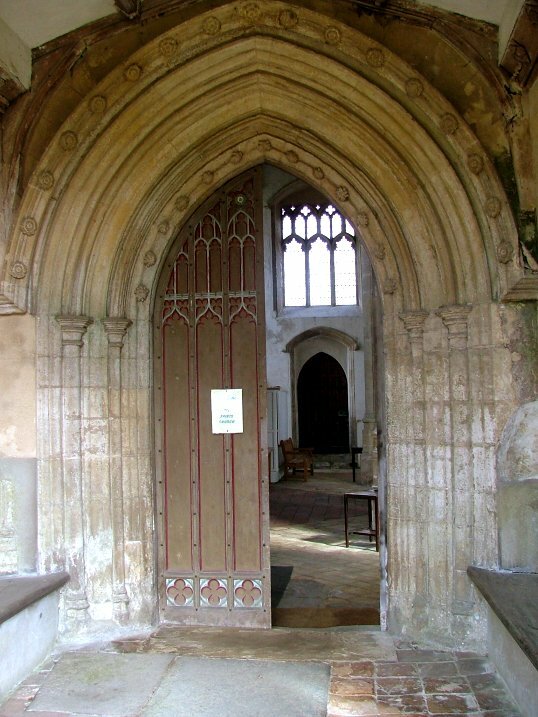 You step in through the floriated south doorway, one of Norfolk's most confident late 14th century moments. 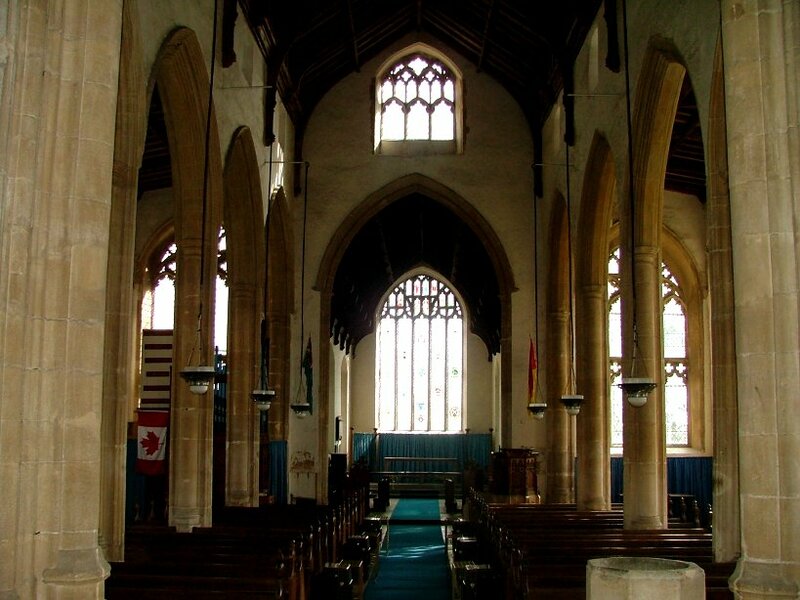 As you step down into the church, the sound changes, the busy Spring day outside becoming a swallowed, dusty hush. 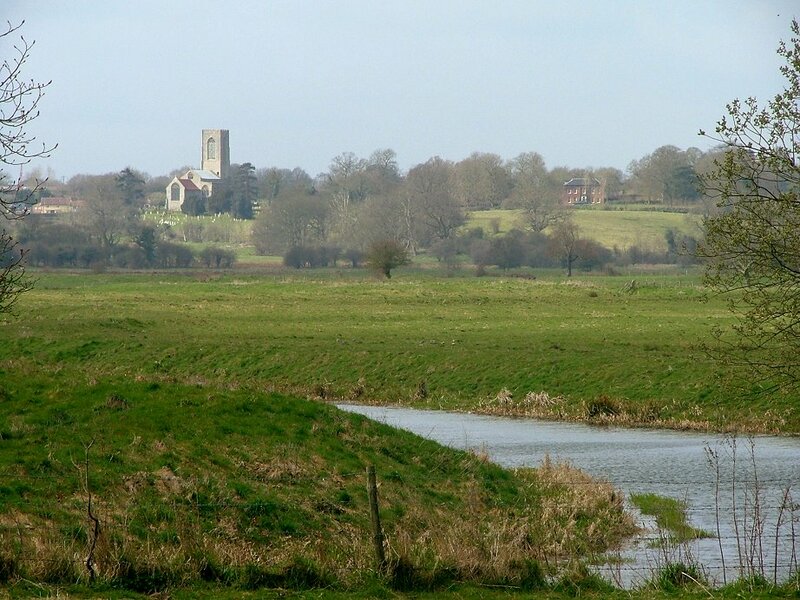 One of the delights of Swanton Morley is that there was nothing like the urbanising Victorian restoration here suffered by the similarly big Hingham, a few miles off. 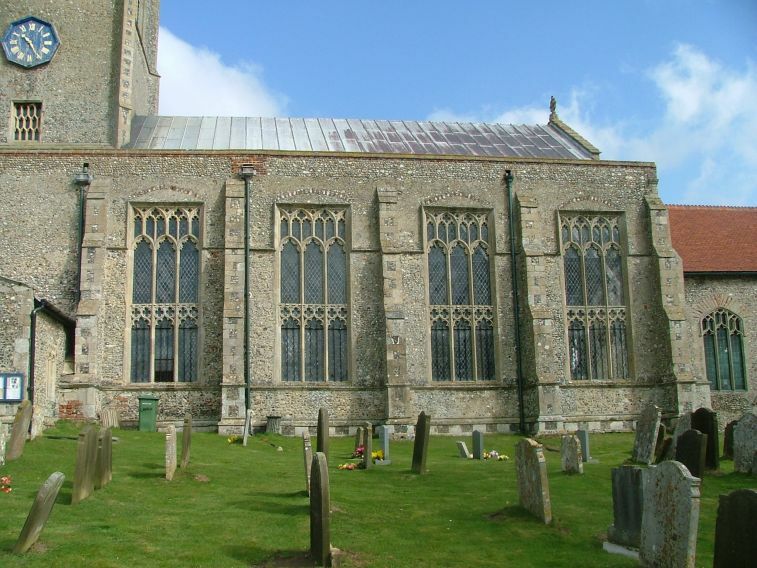 Here, there are echoes of Blythburgh, because you step into a vast, open space, and brick floors spread in all directions. 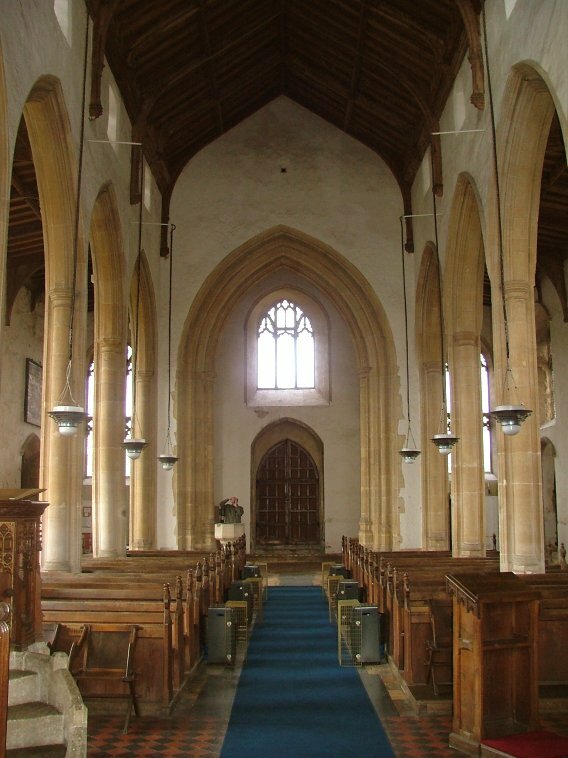 It is very atmospheric; but the churchwarden felt he had to apologise for them, so if you visit do make it clear to him that you think they are beautiful too. 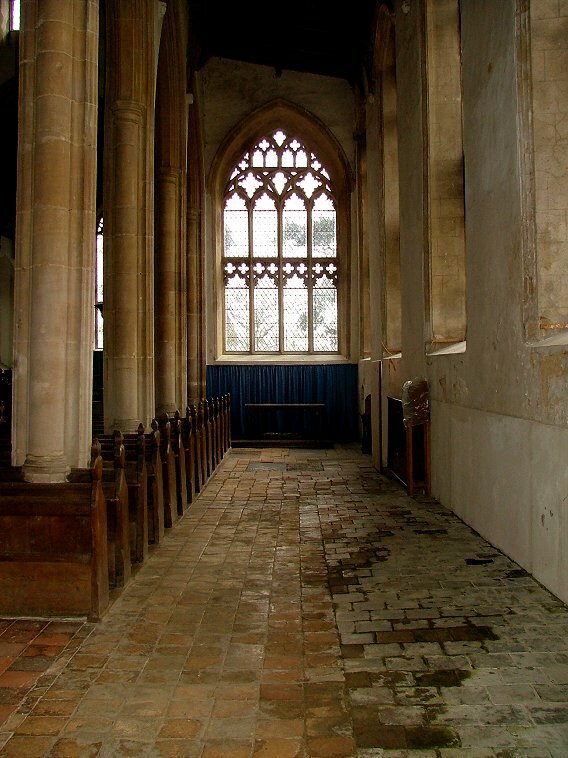 Fortunately, it would cost the parish a fortune to cover them all with carpet, and so here they lie, breathing quietly, organic and stained with the patina of age. The aisles extend right to the west end of the building. This not only means that you get a grand west front outside, you also see the exposed eastern piers that support the tower. 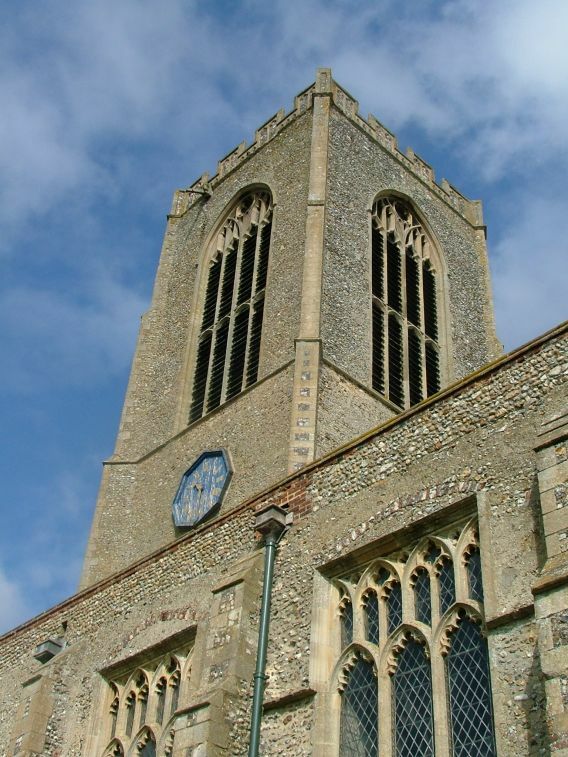 They take your breath away - they must be the largest pillars in Norfolk outside of the Cathedral. 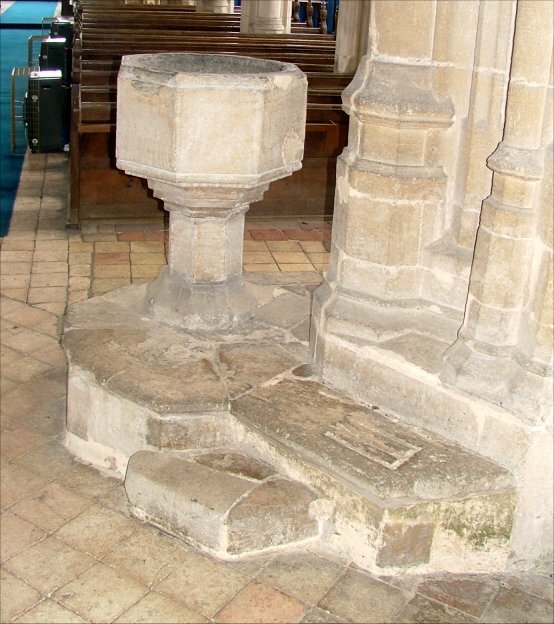 On one of them, the font is set, and dwarfed by the column rising above. 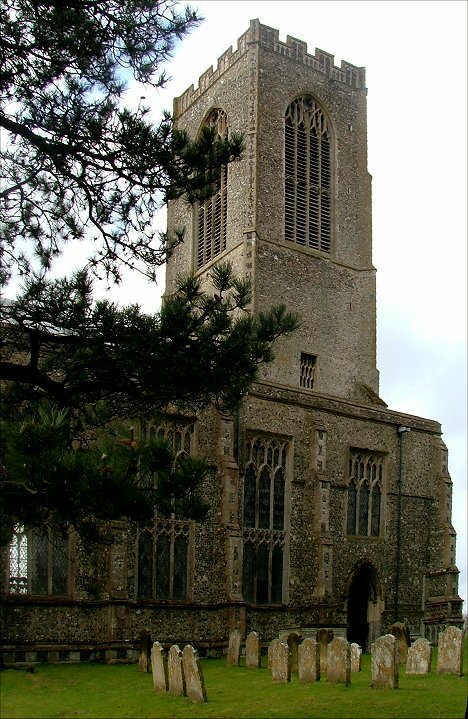 Interestingly, beside it there are the deep cut grooves familiar from a dozen other East Anglian churches. Their significance has never been satisfactorily explained. 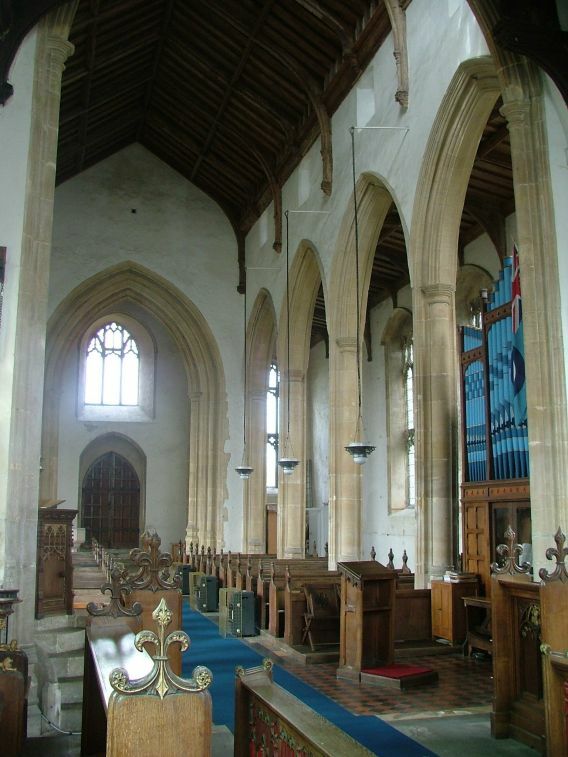 All Saints is full of light. 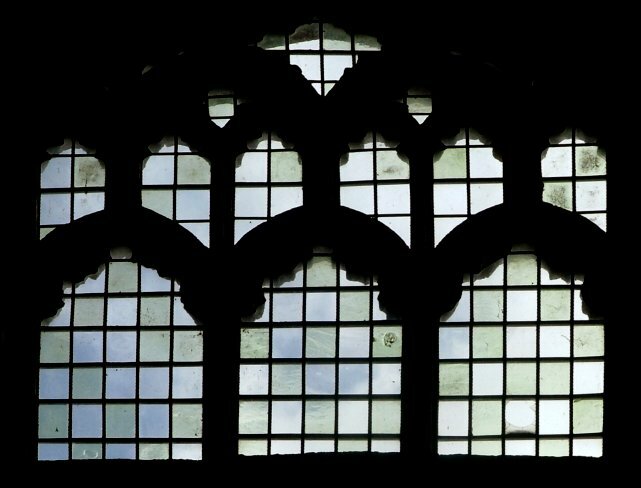 There is a small amount of late 19th and 20th century glass -actually quite a large amount, but dwarfed here by the acres of clear glass that flank the nave. 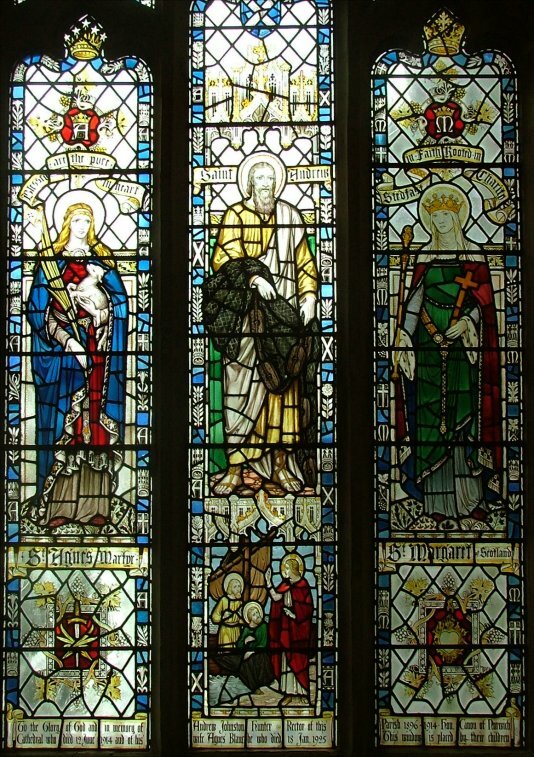 The triple window of St Agnes, St Andrew and St Margaret by Powell & Sons is full of 1920s confidence. 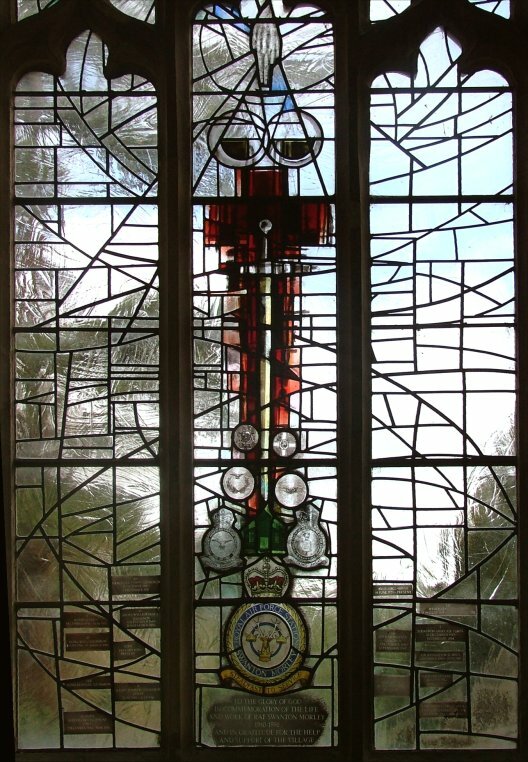 The east window is full of heraldic roundels, apparently installed at the unlikely date of 1944, but perhaps the most significant glass is in the modern window that commemorates the wartime airbase. 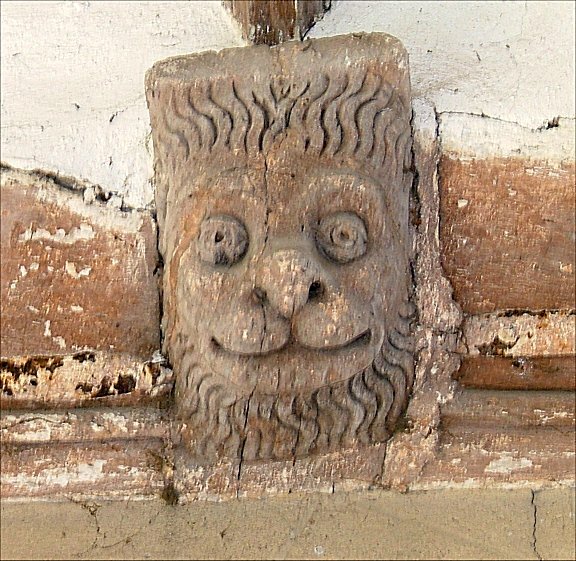 High up, the faces of creatures in the wall posts of the medieval roof looked down on us as we explored. 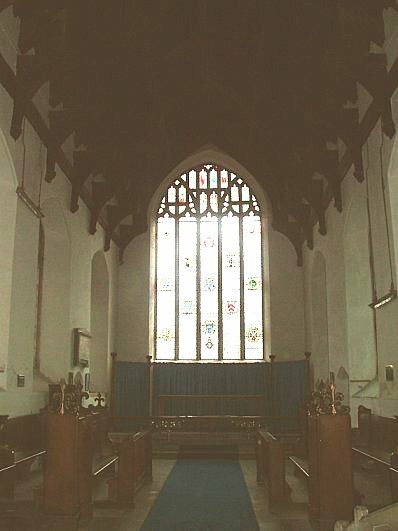 There is a massive window above the chancel arch that once backlit the rood. I loved the sound of my footsteps; it felt as if there should have been an echo, but the building is so vast, so high that the sound carries on, and dies slowly, and disappears. 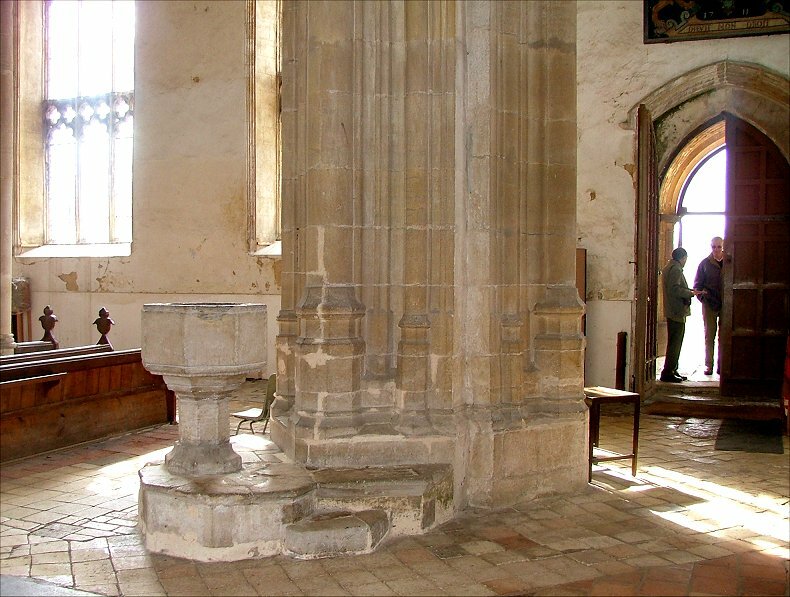 Looking west, the tower arch echoes the chancel arch, the west window set back beyond uncomfortably cut off - was that intended, I wondered? It is the weakness from outside as well. 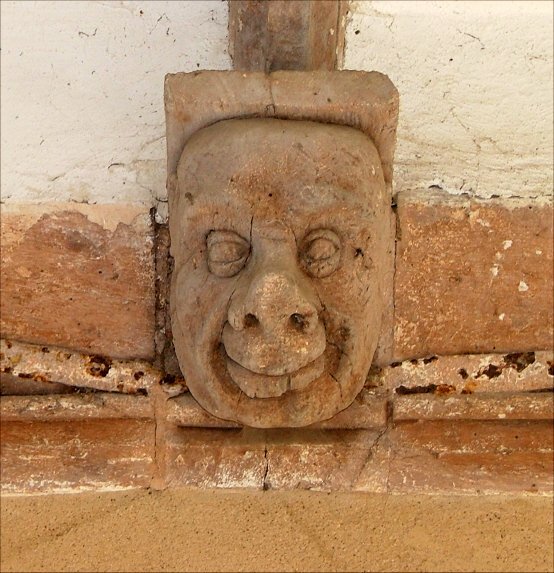 High above, tiny and exposed in the western wall of the nave is a little quatrefoil sanctus bell window - it was curious to think of someone sitting up there, watching for the elevation of the host. 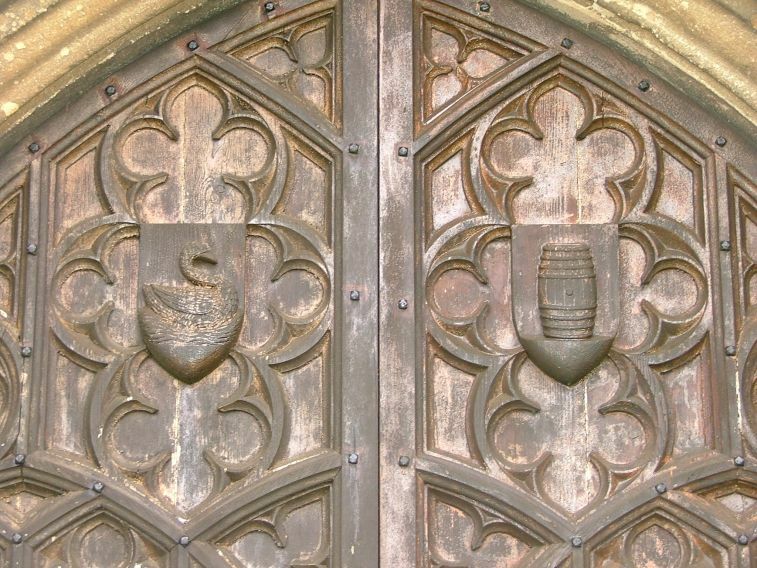 Above the south door are royal arms that claim to be those of Anne, but must be much earlier, I think. 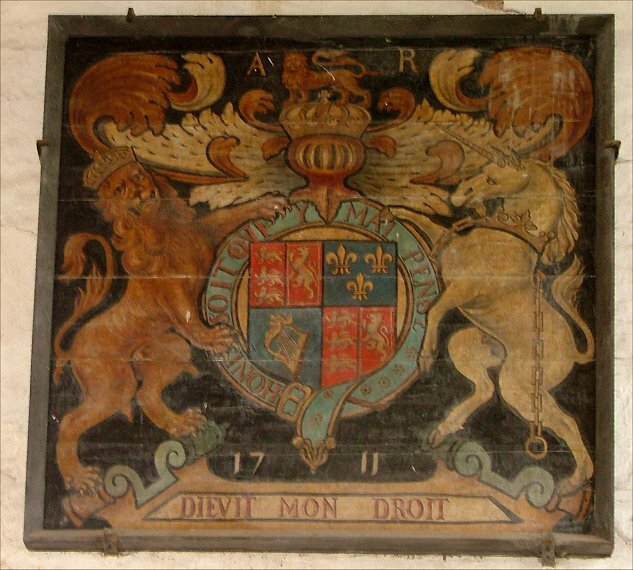 The date 1711 and the misspelt motto Dieuit Mon Droit have been added by some local craftsman to what were probably the arms of James II. As Tom chatted to the amiable warden, I found myself wandering again around this wonderful building. 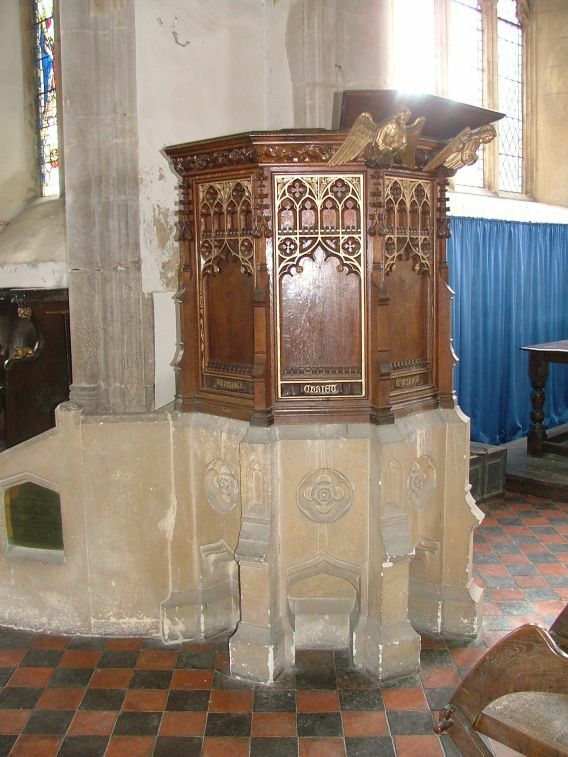 There are few distractions from the architecture - this is, perhaps, above all else an architectural historian's church - but I loved the rustic benches carved by some local in the 17th or early 18th century. 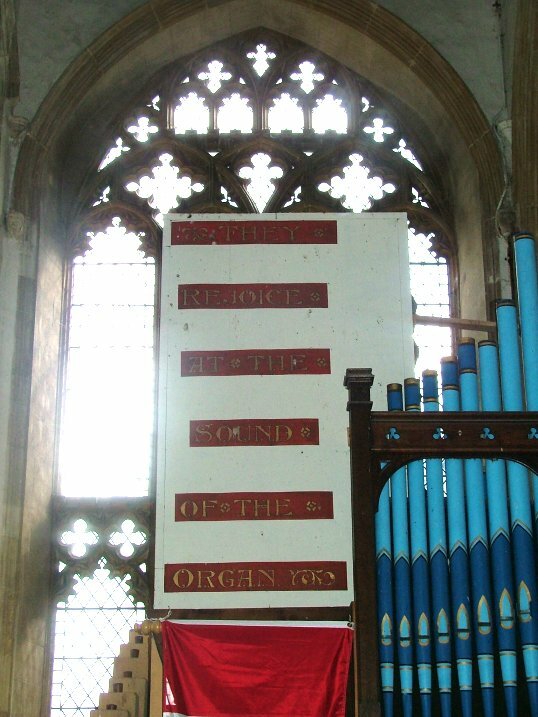 Perhaps it was the same man who repainted the royal arms, a previous churchwarden, similarly proud. 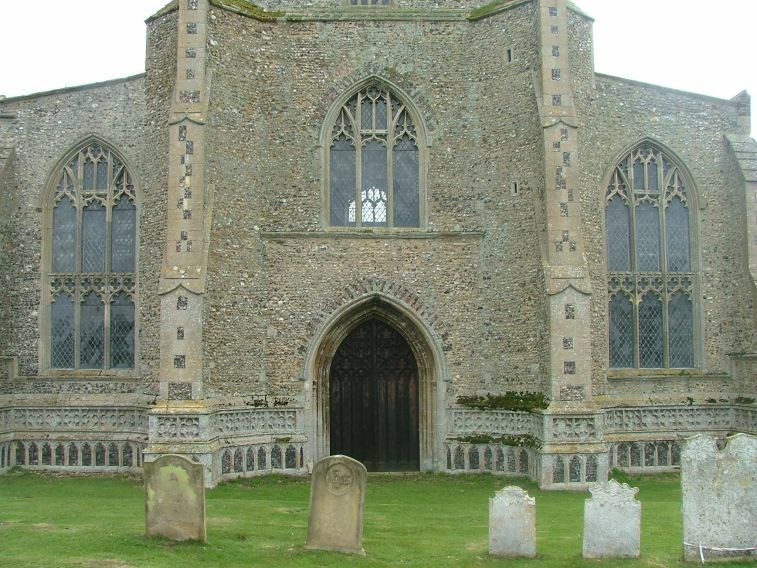 But I do wish this church was open to visitors - I can think of no reason why it shouldn't be.